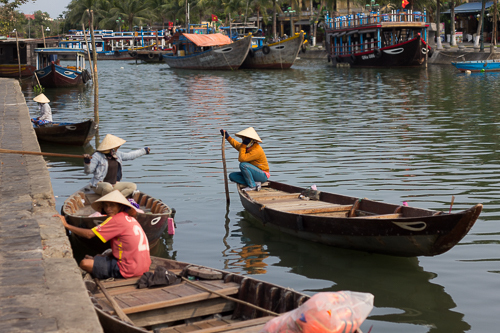 A stop in Hoi An should be at the top of everyone’s list when traveling through Vietnam. 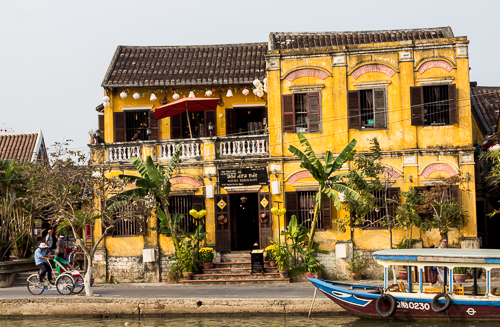 It’s halfway between Ho Chi Minh City and Hanoi, two major destinations in Vietnam, but has a quieter more laid back feel. 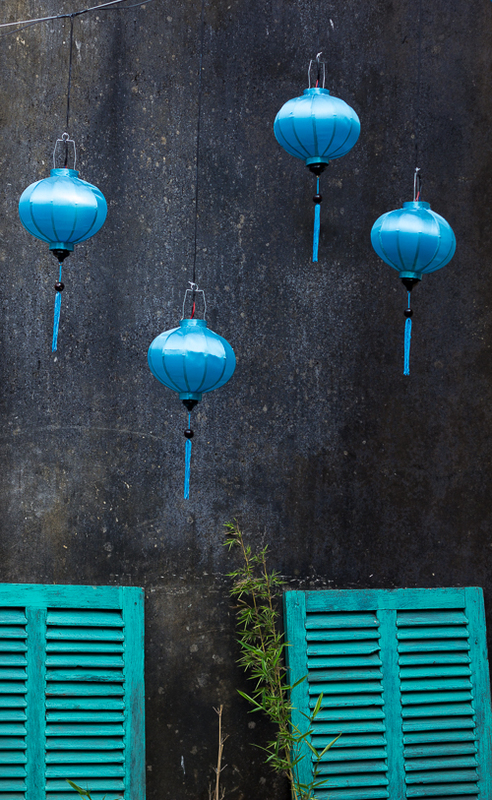 Hoi An is famous for their tailors, food, and silk lanterns. Many come here to have a custom suit or dress made. Sitting on a river delta and a short ride to the beach, it’s surrounded by rice paddies and smells like a combination of soup and fresh rice. The old town also happens to be a world famous UNESCO World Heritage Site which makes the ancient city center well preserved and colorful. We came here to relax by the river, bicycle and have a suit made. Staying in the old city gets costly but we stayed at a new villa that had weekly rates and few reviews. This can be a bit risky but can often pay off because new hotels are looking for good reviews and constant feedback about how they can do better. It was about 3km outside of the city center and provided free bicycle rentals, free breakfast and coffee, and had a shared kitchen, and excellent wifi for working. For one week we paid $150 USD which was far below the average in the area. Food in the old town ranged from nicer restaurants with leafy gardens and fancy cocktails to street vendors making pho and cau lao for only $1 USD. After enjoying traditional Vietnamese coffee and an omelette by our koi pond we would spend the morning working from our patio overlooking massive rice paddies full of colorful workers in conical hats. A quick bike ride into the old city for some beef pho and La Rue beer would fill us up before going in for another fitting at the tailor for the suit we were having made. The sun would be hot and high in the sky and we would continue on our bikes to the beach. A beautiful breezy ride through rice fields led us to the ocean where locals and tourists mixed in the sand and played in the water. As the sun set we would ride back into town and park our bikes in the old city and walk through the lantern lit streets and find a restaurant with a candlelit atmosphere and Vietnamese food with a modern take, often also an NGO supporting local street kids. The city is incredibly colorful. Between the bright yellow painted houses and buildings in the old town and the thousands of silk lanterns hanging everywhere there are also people dressed in bright patterns and conical hats bicycling around. Beer and food is cheap, transportation is laid back, and food options are plentiful with a lot of up and coming chefs making their mark with a twist on tradition dishes. Currently back home in Vancouver, Canada visiting friends and family and doing some life errands and tying up loose ends. I’ll be heading back to Indonesia in September to complete the PADI instructor course to make diving my profession. More to share on that next time!